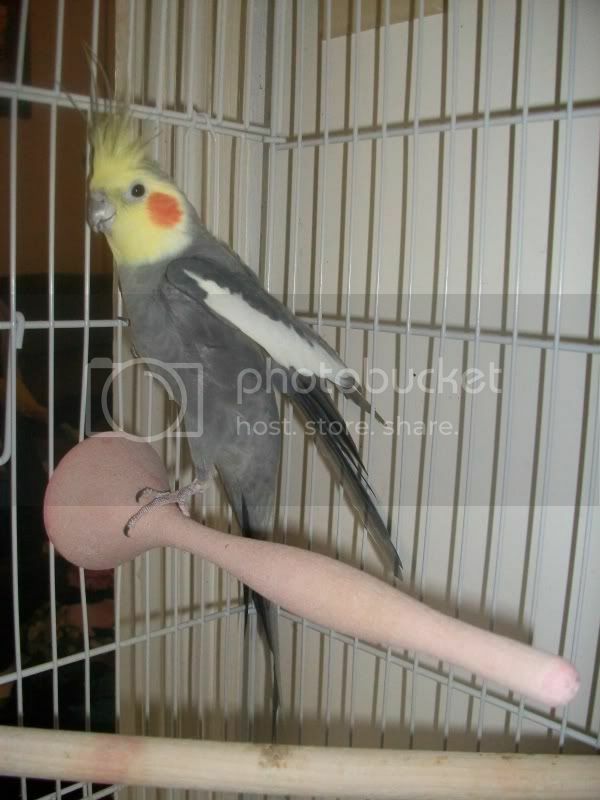 I bought a male young cockatiel in 2005 when I live in California. Well, stuff went downhill and I moved from CA to VA. I left my sweet bird behind with a friend and his family whom agreed to care for him and loved him. Well, said family got transferred..... TO VA! I let them know when I learned they were coming out here that if they wanted me to take him back I would, but I understood if they wanted to keep him. This was probably.... 2007? They wanted to keep him. I was happy with this. Push the fast forward button again. He's getting out of the military, and living arrangements after are not sure. SO we met up with they yesterday and brought Buddah home! I think I'm more thrilled to have him back than my hubby is, lol. Re: My traveling birdy! HOME!!!! He is a very happy looking birdy .. Glad he's home.